Oprah and Eckhart Tolle's 10-week series "A New Earth" premieres Sunday, March 23 at 12 p.m. ET/PT on OWN: Oprah Winfrey Network The bestselling book by one of the 21st century's most innovative and exciting spiritual thinkers With his bestselling spiritual guide The Power of Now, Eckhart Tolle inspired millions of readers to discover the freedom and joy of a life lived "in the now." 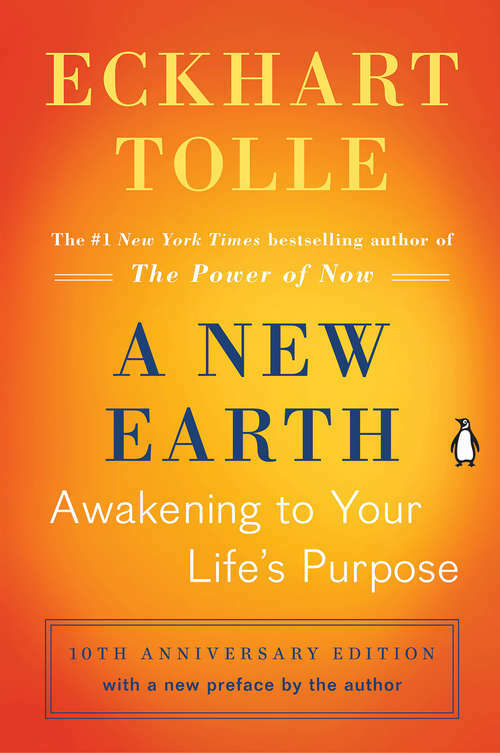 In A New Earth, Tolle expands on these powerful ideas to show how transcending our ego-based state of consciousness is not only essential to personal happiness, but also the key to ending conflict and suffering throughout the world. Tolle describes how our attachment to the ego creates the dysfunction that leads to anger, jealousy, and unhappiness, and shows readers how to awaken to a new state of consciousness and follow the path to a truly fulfilling existence. A New Earth was an Oprah Book Club pick and reads as a traditional narrative, offering anecdotes and philosophies in a way that is accessible to all. Illuminating, enlightening, and uplifting, A New Earth is a profoundly spiritual manifesto for a better way of life--and for building a better world.